Innovation is a discipline, a body of knowledge you can study, master and apply to various challenges. Innovation is the discipline and process of applying frameworks and techniques for analysis, practices that stimulate ideation, and methods of prototyping in order to conceive and develop original solutions to problems. So, innovation is a process that uses formal techniques and methods to come up with new ways of meeting needs. To prepare a roadmap for innovation in the country, the Prime Minister constituted the National Innovation Council (NInC) in September 2010. Today, India has unique challenges and large unmet needs across diverse areas such as health, education, skills, agriculture, urban and rural development, energy and so on. 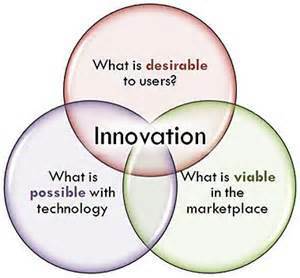 All of which require innovative approaches and solutions, and looking beyond the conventional way of doing things. Innovative enterprises can fulfill unmet social needs by profitably, scalably, and competitively engaging citizens at the bottom of the economic pyramid; through the creation of goods, services, employment, livelihoods, income and wealth. Successfully achieving this vision will unlock & unleash a class of capital other than philanthropy & government grants for solving the problems of the poor and create a model for countries around the world to emulate. Innovations are required in the country for creating a favorable ecosystem. Whereas most global innovation systems are focused on the process, nations like India need to lay equal emphasis on purpose as well as the process of innovations; affordable innovations for ensuring that the benefits of innovations reach as many as people as possible have become necessary. There are a whole lot of issues that we need to think through in a different way. Mahatma Gandhi, the father of our nation, understood the meaning of innovation in a very different way and that is why he used the tools of Satyagraha and Non-violence during the freedom struggle. Therefore, we really need to look at the Indian model of innovation and make use of concepts, ideas, and solutions that are embedded in our history, culture and traditional knowledge. Thus it creates a need for National Innovation Policy in India.